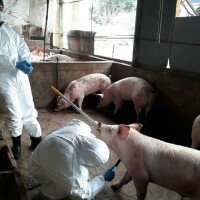 TAIPEI (Taiwan News) -- A pig carcass which washed up on the shore in Kinmen County has tested positive for African swine fever (ASF), the third such case reported in the county, announced Taiwan's Central Emergency Operation Center for ASF on Wednesday (April 10). 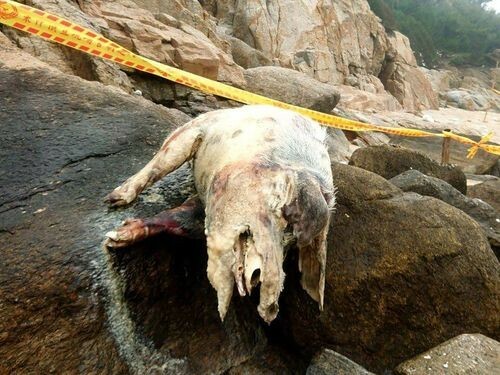 At a press conference Wednesday, the center announced that a pig carcass was found to have drifted ashore in Kinmen's Jinhu Township on Sunday (April 7). 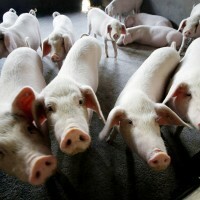 On Wednesday, samples of the carcass tested positive for the nucleic acid associated with ASF and it was found to be a 100 percent genetic match with the strain of the virus found in China. This is also the third pig carcass found to have washed up in Kinmen and tested positive for ASF this year. 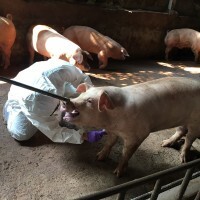 Due to China's close proximity to Kinmen and the genetic match with the strain of ASF found there, the center believes the pig's carcass drifted by sea from the communist country, which has reported the epidemic in all but one of its provinces. 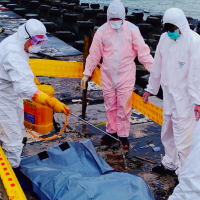 Thus far, a total of five pig carcasses that have washed up on Taiwan's outer islands have tested positive for ASF, including three in Kinmen and two in Matsu. 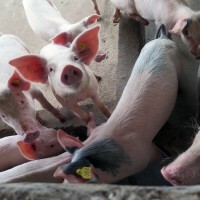 Also on Wednesday, one day after the island of Matsu saw a week-long pork export ban imposed, the outlying county of Kinmen was targeted with a similar measure due to the latest test result. No pigs, pork nor related products can be moved from Kinmen to other parts of Taiwan for a week beginning April 10, the Liberty Times reported Wednesday. The only exception were for products made before April 9 by seven companies. In Taiwan, passengers arriving at airports or harbors and failing to report banned meat can face a fine of NT$200,000 (US$6,480) for the first offense.